Up close and personal with RCBC Bankard’s CEO, Mr. Simon Calasanz and get to know his take on how business inadvertently relates to sports when it comes to leadership, teamwork, and achieving a goal. RCBC Bankard cardholders can now voluntarily donate their Rewards Points for the care and education of underprivileged children who are under the care of SOS Children’s Villages Philippines. 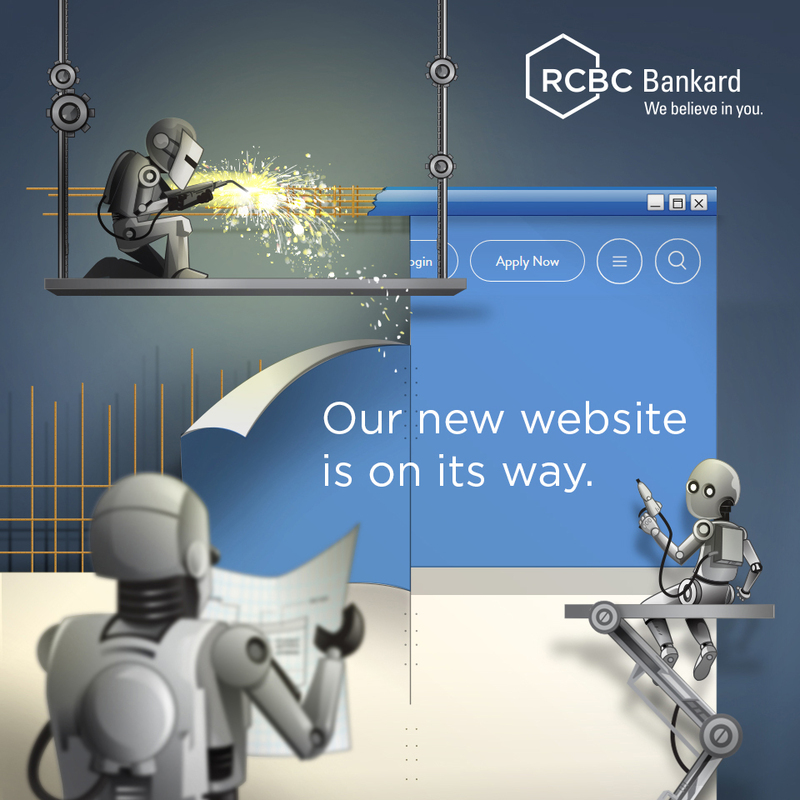 RCBC Bankard, together with their long-time partner, JCB, launches their newest prestige card, the RCBC Bankard JCB Platinum Card. The second donation took place at the Gawad Kalinga’s 5th Social Business Summit. Congratulations to the second lucky winner of iPhone 7 via the Fast BillsPay Raffle Promo! Congratulations to the first lucky winner of iPhone 7 via the Fast BillsPay Raffle Promo! RCBC Bankard announced its donation of Php 1,066,405.54 to Gawad Kalinga’s Kusina ng Kalinga project. RCBC Bankard Services Corporation (RBSC) received High Commendation for Best Card Offering and was proclaimed as the Best Loan Offering during the RBI Trailblazer Awards. The new and fully operational Kusina ng Kalinga (KNK) Kitchen in Angat stands as a testament to the enduring partnership between Gawad Kalinga (GK) and RCBC Bankard. All RCBC Bankard Mastercard, Visa, JCB, and UnionPay credit cards are now 100% EMV chip compliant. RCBC Bankard was recently hailed at the International Finance Magazine (IFM) Awards bagging the Best Card Offering-Philippines award. RCBC Bankard is in partnership with Asiana Airlines to bring their cardholders great travel deals on premium flights this holiday season. The RCBC Bankard Diamond Card – Platinum Mastercard relaunch was held last Nov 24, Thursday at the RCBC Plaza. Some highlights of the event is the renewal agreement signing of RCBC Bankard and GK the formal introduction of the new program beneficiary, Kusina ng Kalinga and turnover of RCBC Bankard donation Php1M to Gawad Kalinga. RCBC Bankard recently won multiple awards and was proclaimed as the Best Credit Card Offering in the entire Southeast Asia region at the Cards & Electronic Payments International (CEPI) Asia Awards for 2016. RCBC Bankard bags the Highly Commended Award in the highly competitive Best Card Offering Category at the Retail Banker International Asia Trailblazer Awards 2016. Meet the lucky winner of a 16GB iPhone 6 for RCBC Bankard’s Fast BillsPay Promo. The first online shopping portal in the Philippines that puts together over 200 local and international online shops that makes online shopping even more rewarding! RCBC Bankard wins Best Credit Card Offering at CEPI 2015. The new design features 4 wave vectors and hexagons lining the top and bottom portion of the EMV chip embedded credit cards. RCBC Bankard awarded 1 Million Rewards Points and an iPhone 6 16GB to two of our lucky cardholders during the recently held RCBC Life and Style Expo. Inviting RCBC Bankard cardholders to join this year’s Bayani Challenge of Gawad Kalinga – Barangay Walang Iwanan. A 3-year effort to fuel and inspire the bayanihan spirit in at least 20,000 barangays across the country. RCBC Bankard cardholder wins a brand new Honda Brio Amaze! RCBC Bankard cardholder wins a brand new Honda Brio! Rizal Commercial Banking Corporation (RCBC) is proud to have Manila’s It Girls Georgina Wilson, Solenn Heussaff, Isabelle Daza, and Liz Uy as its new endorsers. The smarter ones flaunt it! Manila’s “It Girls” making the smart move with RCBC!